Crested Butte is one of the last family-owned ski areas. The pricing is excellent for families there. The kids pay a fee equal to their own ages (from ages 5 to 12) for a lift ticket, and it has a very cute little town. There’s a free shuttle bus and numerous restaurants. Other things to do in the area include free guided mountain tours, dogsledding, and ice-skating. Crested Butte has a pleasant atmosphere and we all liked it. 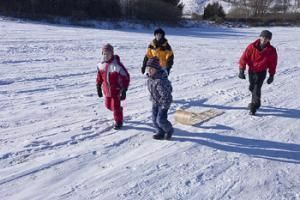 In addition, there is a skiing instruction and activity program for age groups 3-4, 5-7, 8-12, and 13-16, as well as daycare for non-skiing kids ages 6-months to 7-years. This commentary was first published by FTF in 2002.